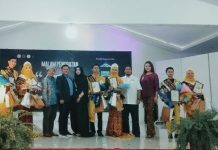 UNAIR NEWS – Universitas Airlangga’s reputation as a State University As Legal Entity (PTNBH), which also trusted by the government to become world class university (WCU) got another recognition. This time, UNAIR successfully pass the selection as a assisting universities (PT) 2018, and will assist six universities (PT). The six universities that UNAIR will assist are Stikom PGRI Banyuwangi; Rustida Health Academy, Krikilan, Banyuwangi; Islamic University of Majapahit Mojokerto; Institute of Health Sciences ‘Bhakti Wiyata’ Kediri, STIE ‘Al-Anwar’ Mojokerto and Hamzanwadi Islamic Institute of NW Lombok Timur. Six universities have fulfilled the requirements with at least 20 courses with C BAN (National Accreditation Board) PT Accreditation. 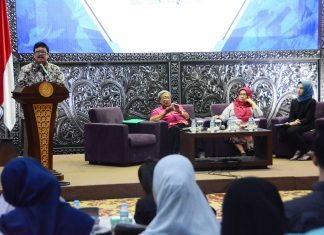 “The requirement for the universities to have at least 20 C accredited programs to be supported by doing some kind of clinic that leads towards strengthening International Quality Assurance System (SPMI) and the accreditation to B and so on,” said Helmy Yusuf, S.Si., M.Sc., Ph.D., Secretary of Quality Assurance Board (BPM) of Universitas Airlangga to UNAIR NEWS, in his office on Thursday, April 12. The signing of the agreement with Belmawa Dikti was held in Yogyakarta, 6-7 April 2018, signed by the head of university represented by the Director of BPM UNAIR, as well as BPM as the technical implementer. This program is for superior university to carry out the assistance of SPMI implementation to other universities (PTS) accredited C.
As we all know, in Indonesia there are about 65 qualified universities, ie which have been accredited A by BAN PT. 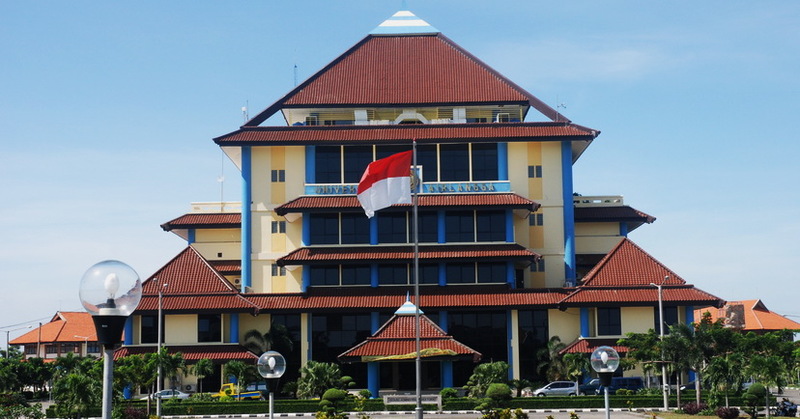 From 65 universities, 36 of them proposed to support Asuh PT Unggul Dirjen Belmawa Program. But only 29 universities accepted for this year. One of them is Universitas Airlangga. For General Directorate Belmawa Dikti, this program is the second year. But for UNAIR, this is the first participation. 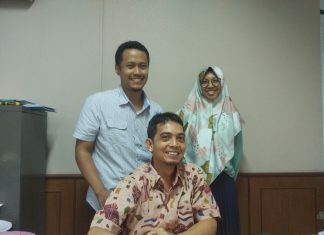 “The most important thing here is the recognition of UNAIR in positive sharing at national level. Let’s say this is our concern as CSR (Corporate Social Responsibility) to succeed the government program. There are even some universities who openly want to be assisted by UNAIR. 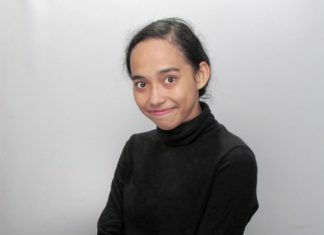 Yes we could assist up to 40 prodi, but we limit them so it could be more focused and maximized, “said Helmy, who is responsible at the technical matters at UNAIR. 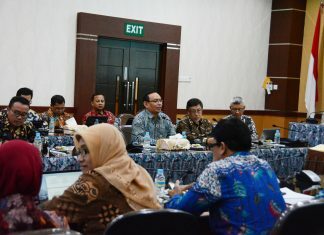 A positive thing from the meeting in Jogyakarta, UNAIR gained appreciation for applying integrated management with information technology, namely AIMS (Airlangga Integrated Management System). From the 29 assisting universities, not all of them integrated with the IT system or still conventional. To the six universities, UNAIR Team consists of BPM team and internal assessors at UNAIR, will provide assistance to SPMI implementation. 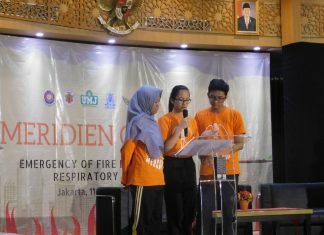 As a first step, six PT representatives will be invited to UNAIR first to coordinate. Afterwards, a series of activities to be followed, including workshops, seminars, internships and other visitations around November.